First, set up your member account. 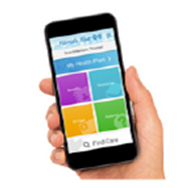 Any time from any device, see your benefits, claims and doctors. Get an ID card, wellness information, quick answers, and much more. Take a quick tour to see what its all about. Log in for doctors in your network and schedule your annual wellness checkup. Download the Florida Blue Mobile App! You are off to a good start! Already have your account set up?